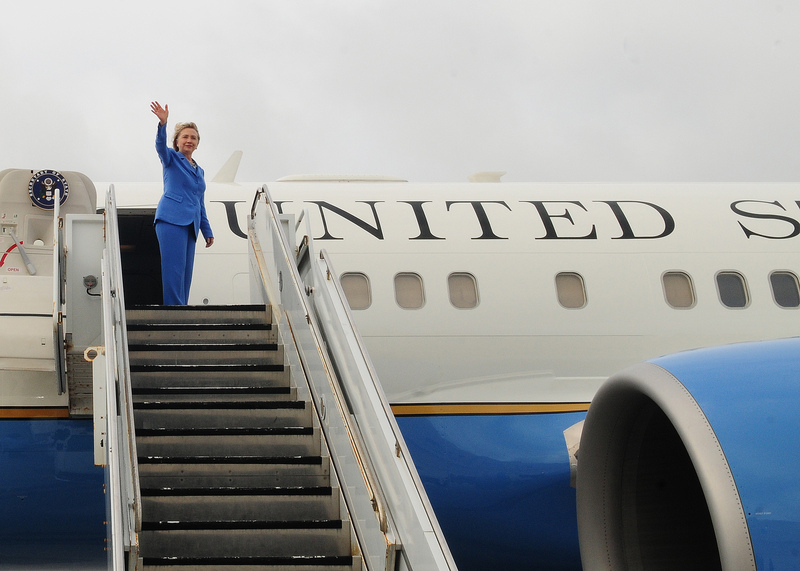 A recent New York Times article covering Secretary of State Hillary Clinton’s current diplomatic travels in Asia focused on her efforts to ramp up trade with the region. This move is seen by some analysts as the softer side of the Obama administration’s so-called “pacific pivot” or “rebound,” where the spotlight has until now shone primarily on plans to expand the U.S. military presence in the region. Though trade is a critical tool of statecraft, influence-building in Asia will require a more comprehensive diplomatic effort. One course that could complement U.S. military and trade initiatives, and enhance the perception (and reality) of non-threatening engagement, would be robust climate diplomacy, including U.S. investments in building the climate resilience of countries in the region. As we have mentioned in a previous piece, such investments would be of enormous value to Asian countries in the near and long term (both current allies and prospective ones), while also serving larger U.S. strategic objectives by acting as an additional non-threatening way of competing with China for regional influence. The good news is that some of that is happening, though there is still a long way to go. To lay the groundwork for Secretary Clinton’s visit, Kurt Campbell, Assistant Secretary of State for East Asian and Pacific Affairs, has been working with partner countries in the region with varying degrees of success. This involved a delegation last year to the Pacific Islands to discuss climate change and U.S. assistance to the region, the start of a strategic partnership with Vietnam aimed at boosting ties in a number of areas, including “coping with climate change, and rising sea levels,” and a stalled plan to “operate climate-change surveillance flights from U-Tapao [Thailand],” as a way of helping enhance data on regional climate change. The U.S. State Department also released a document in advance of Secretary Clinton’s trip titled “Background Briefing en Route to Mongolia,” which briefly mentions the role of climate change in the Mekong river basin, as well as key activities that either influence, or may be indirectly influenced by, climate change, such as oil exploration in the South China Sea, cooperation with food and agriculture companies, and multinational efforts to study dam construction and water usage in Laos along the Mekong (also see an article by CSIS on the possible topics to be discussed during the visit, which includes natural disasters and coordinating humanitarian assistance and disaster management). While many of these topics of conversation in the State Department briefer do not specifically mention climate change, climate change is and will continue to impact most of them. This presents an opportunity for the United States to enhance its diplomacy. Recognizing the current and projected impacts of climate change on regional cooperation, and advancing concrete investment opportunities for building climate resiliency, could open up new avenues of discussion and partnership on a broad range of issues, whether that is with a flood-prone Thailand, or a drought-scarred Mongolia. As the State Department briefing mentions, this is a historic trip – an extraordinary opportunity to build and strengthen bridges in the region. The U.S. should use all the appropriate tools in its diplomatic shed to achieve that goal. Investing in the region’s long-term climate resiliency is one of them. By Francesco Femia & Caitlin Werrell in climate and security on July 11, 2012 .